Before coming to Oxford I studied for a BA in Ancient History, and an MA in Classics at Durham University. I developed a keen interest in the Near East in the Roman period whilst there, particularly under the tutelage of Dr. Ted Kaizer, and began to work on the ways in which communities identified themselves at a time of enormous change. I first came to Oxford in 2010 to study for an MSt in Classical Archaeology. Following a two year hiatus working for a London based company, I joined the Empires of Faith project and am now in the process of studying for a DPhil in Classical Archaeology. Empires of Faith’s focus on the place of material culture within religion, and thus within people’s lives, is what drew me to the project. My research currently focuses on the movement of religious ideas from the 1st century BC to the 5th century AD. A crucial aspect of how we approach this topic is the nature of divinity in the ancient world, not from the point of what was believed about gods, but in terms of how they existed and how they were experienced. Material culture plays a crucial, but often underappreciated role in this respect. My particular areas of research at present are first century BC Commagene, studying the development of the names and images of gods under the Commagenian king, Antiochus I, and the movement of religious ideas out from Commagene into the wider Roman empire through the spread of names and images associated with ‘Jupiter Dolichenus’. My work within Empires of Faith includes the now completed project ‘Images of Mithra’, resulting in several workshops, presentations and a book of the same title. I worked on ‘Imagining the Divine’ at the Ashmolean, working particularly with Philippa Adrych and Maria Lidova on the development of Christian imagery in the Roman world. 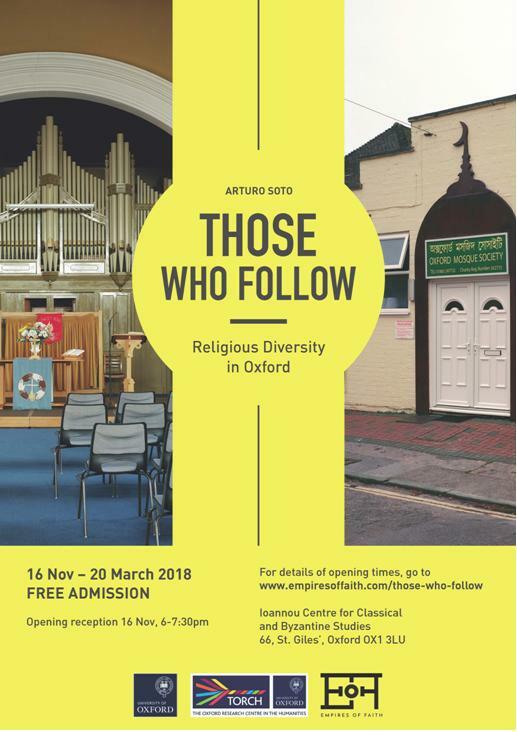 I currently take a leading role in organising events and the outreach efforts involving the project, including Talking Religion, and I am the curator of ‘Those Who Follow’. I also manage the website with Georgi and Rachel, and have turned my hand to producing the videos that pepper this site. ‘Writing the Art, Archaeology and Religion of the Roman Mediterranean,’ in: Historiographical volume of the Empires of Faith project (in preparation) with Philippa Adrych. ‘Mystery Cult and Material Culture in the Graeco-Roman World,’ in: Historiographical volume of the Empires of Faith project (in preparation) with Philippa Adrych. ‘Religions in the Roman World’, in: Imagining the Divine. Art and the Rise of World Religions (Exhibition catalogue, Ashmolean Museum Oxford, 19 October 2017-18 February 2018) with Philippa Adrych.